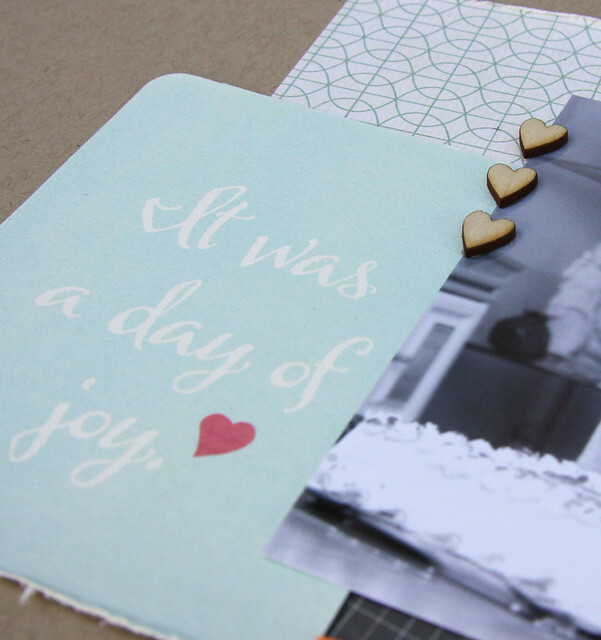 Today I am sharing a layout focusing on the BG Carte Postale 6x6 paper pad included in the August Pocket Life Kit. Inspired by so many of the included patterns, I knew I wanted to use large pieces to maximize their impact on my page, while the scaled down prints would still allow my photo to shine. One of my new favorite pictures, this is my husband and son celebrating their shared Greek name Day this July. "Xronia Polla" is a celebratory phrase in Greek, wishing "many years." 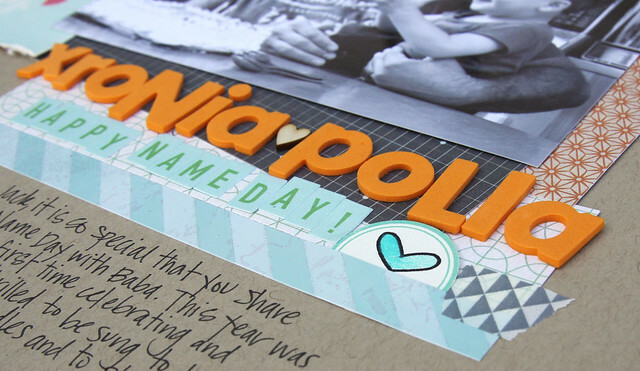 I used the orange Thickers and a sticker border from the Embellishment kit, along with the OA letters, a wood veneer heart, washi tape and my heart stamp from the PL kit to create the title section. 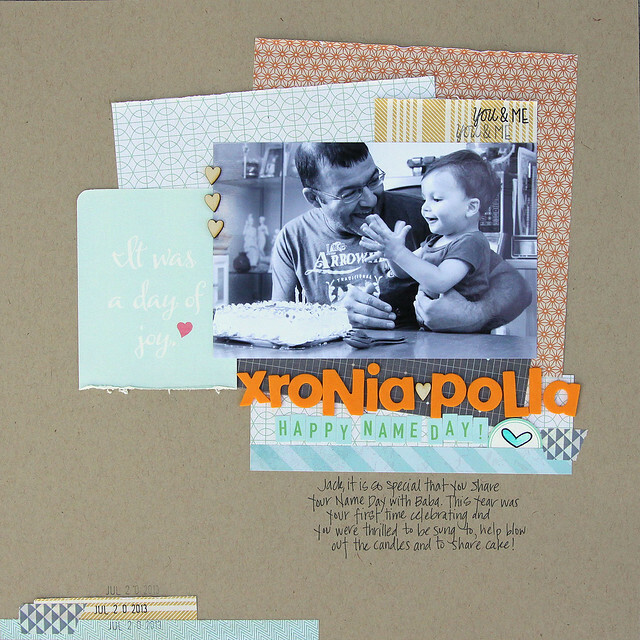 Our CTK + Star & Bee exclusive wood veneers and 3x4" card added just the touch of love I needed to finish off this page. love this layout!! very cute! !